At least Super Bowl MVP Von Miller has been franchise tagged and won’t be going anywhere. 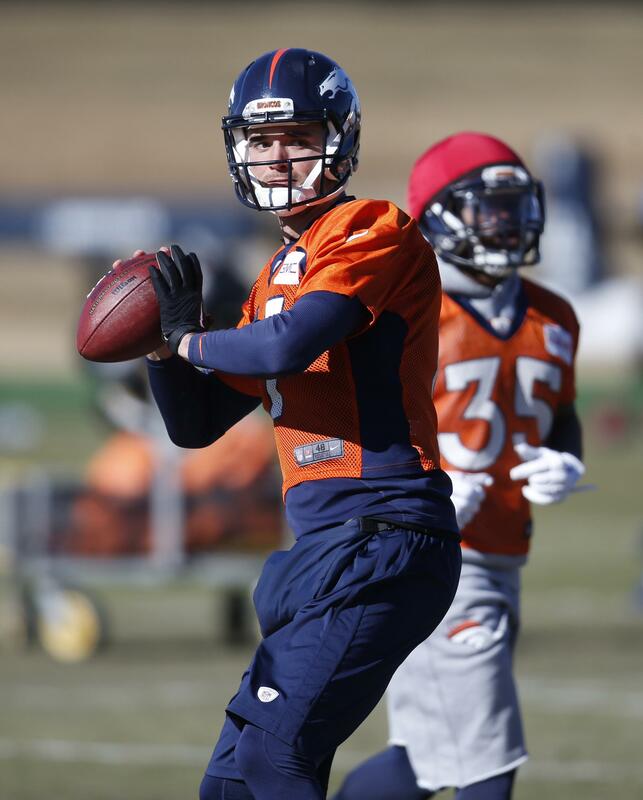 “We’ve stayed true to our philosophy of building a team of players who want to be Denver Broncos and want to be here. That’s been a successful approach for us,” general manager John Elway said. Murray, the 2014 Offensive Player of the Year with Dallas, spent a fruitless season in Philadelphia and was traded Wednesday to the Titans. The teams swapped fourth-rounders, but the Eagles cleared Murray’s hefty contract from the books. The Dolphins released cornerback Brent Grimes and finalized a trade to acquire cornerback Byron Maxwell and linebacker Kiko Alonso from the Eagles. Philly sends the 13th overall choice in April’s draft and gets the eighth overall selection. The Seattle Seahawks have tendered contracts to eight restricted and exclusive rights free agents, but did not tender offers to running back Christine Michael, guard Alvin Bailey and fullback Derrick Coleman. Seattle’s decision not to tender Michael leaves the Seahawks thin at running back. Michael was re-signed late last season after Thomas Rawls suffered a season-ending ankle injury. Michael started two regular-season games and Seattle’s wild-card victory over Minnesota before the return of Marshawn Lynch. –Star tight end Antonio Gates is remaining in San Diego with a two-year deal that will allow him to retire as a Charger. He’ll get $12 million, with $6 million guaranteed, to keep his terrific combination with quarterback Philip Rivers going. –San Diego also agreed to terms with Seattle DT Brandon Mebane, S Dwight Lowery and WR-KR Travis Benjamin. –Linebacker Rolando McClain is returning for a third season in Dallas. The 26-year-old McClain got one year at $5 million. He also has been with Oakland and Baltimore. –Tight end Benjamin Watson, coming off a productive season in New Orleans, joined Baltimore. –The Giants significantly strengthened their porous defense by adding DT Damon Harrison from the Jets and CB Janoris Jenkins from the Rams. –Jacksonville agreed to terms with Cleveland safety Tashaun Gipson and Jets running back Chris Ivory. Published: March 9, 2016, 8:30 p.m.